﻿Tactical Training Solutions is committed to providing progressive, professional and relevant training in armed and unarmed defense. The training we provide has been vetted by US military, law enforcement and civilians nation wide. Our instructors have taught the USMC Marine Corps Martial Arts Instructor Program, various law enforcement agencies and at the collegiate level. TTS specializes in firearms and self defense training. 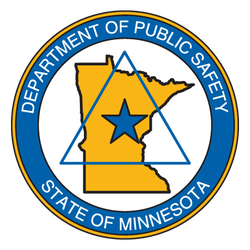 Specifically we offer Minnesota Permit To Carry / Concealed Carry training, and customized firearms training. Our Permit To Carry "Concealed Carry" training is accepted by a number of states as proof of training for an application to carry a concealed firearm. We offer classes that cater to every experience level, whether you are a first time shooter or an experienced LE/Military professional, we offer training that will better your ability to defend yourself. Our Online permit to carry / concealed carry class will give you the flexibility of taking most of the permit to carry / concealed carry course in the comfort of your home. This unique class is filled with video demonstrations and graphics to walk you through every aspect of the permit to carry curriculum. In addition after you take the online class, you will get 2 hours of hands on instruction to ensure that you are fully trained in all legal and practical aspects of concealed carry. Like with every concealed carry type class we offer, you will have the opportunity to go to the range and qualify with a pistol as required by state law.